Tai chi: A gentle way to fight stress. Tai chi helps reduce stress and anxiety. It also helps increase flexibility and balance. This flowing class consists of basic exercises, chi gong and tai chi focusing on alignment, meditation and coordinated movement. In this faster paced class we explore the Sun Salutations as well as play around with different flows. This gentle, restorative yoga class is a soothing way to start your Sunday. Perfect for beginners, those with injuries and newcomers to yoga. Free for ALL who wish to come to practice! All levels are welcome! 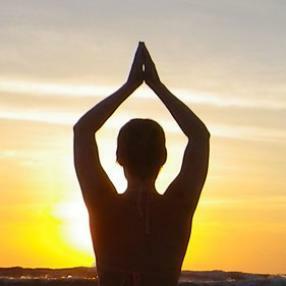 A moderate level, holistic practice drawing on multiple yoga traditions. Classes will include warming stretches; conscious breath; formal yoga postures (including longer posture holds and intermediate poses); meditation and/or relaxation. 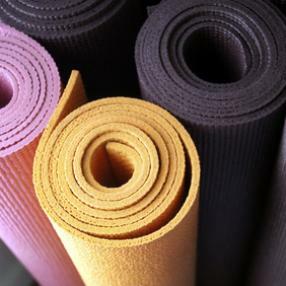 Classes may also weave in yoga philosophy traditions, history or metaphors. Suitable for students with some awareness of yoga postures, including Sun Salutations, who want to deepen their practice. Hatha Yoga level II/III is an opportunity to work deeply in postures, exploring the finer points of asana technique and creative asana sequencing. This class focuses on intermediate/advanced postures, and works toward mastering inversions and arm balances. Also included are pranayama practices, bandhas, kriyas, and meditation. A class practiced with a slow, nurturing and soft pace. It’s a time to cultivate inner strength and peace. Easy non strenuous postures are taught, sometimes in a gentle flowing sequence supported by the breath. Expect measured stretching and range of motion exercises. Props are sometimes used to facilitate deeper release and relaxation. This is an all level class.